WHAT ARE BULLFROGS AND WHERE DID THEY COME FROM? Bullfrogs are a non-native frog species that have been introduced to BC where they displace native frogs. They are established in BC and their range is spreading across the Lower Mainland and on Vancouver Island. They are originally from the eastern part of North America and were introduced to BC by frog farmers that harvest them for frog legs. Since their introduction in the early twentieth century, they have spread both on their own and with help from humans. 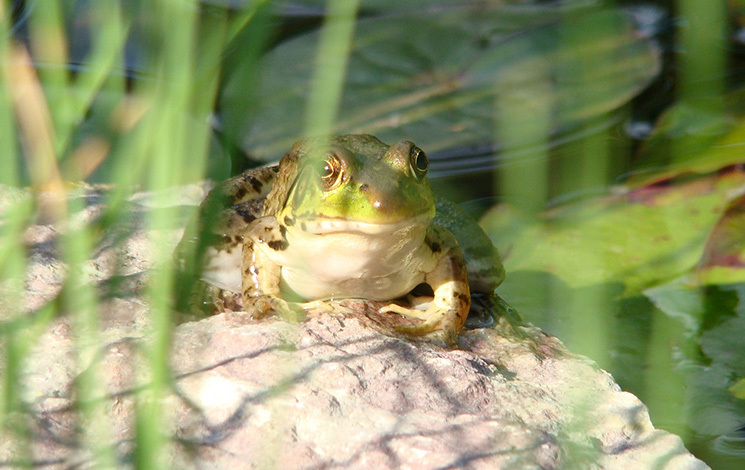 Bullfrogs are most active in the summer during the breeding season (June and July).